Greetings and welcome to my Instructable on how to make a ball mill using lego and PVC pipe. This instructable now includes a 3D digital design and 3D instruction manual of how to make this ball mill. The parts used in the guide and my instructable may vary slightly, based on part compatibility. the digital guide uses a very similar design but with more common peices, it also includes a parts list of everything youll need. Open using lego digital designer 4.2. In this instructable i will show you the basic design you will need to follow, in order to build a ball mill from lego. 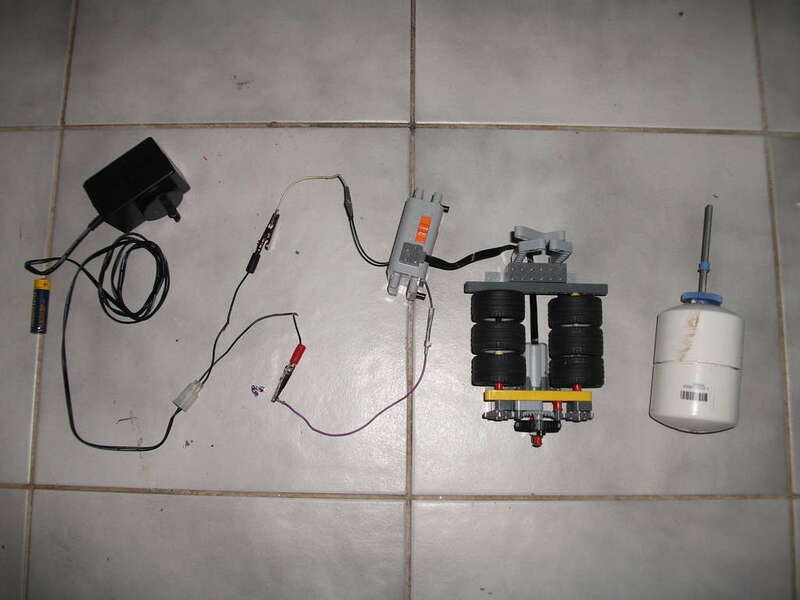 My design is very close to what you would expect from commercial lapidary tools (fancy work for rock tumbler/ball mill), except it runs off a lego motor rather than a 240v brushless. The problem with ball mills though, particularly the commercial ones, is that the worst of them still cost around $100 bucks. Most people, namely you, do not want to pay this $100 for a ball mill. Not if you just want to make a little thermite to try out in a one off thing. Thats why i came up with the idea of making one out of lego. Most of us all have lego, and recently people are finding that lego is perfect for prototyping stuff, as i did with this! Keep in mind lego motors are quite small and wear out easily if run non stop at their maximum capabilities, but if you dont plan on using this ball mill more than 3-4 times with the same motor, then dont worry. If at all possible, adapt a larger motor to work with lego and use that, something from a large toy car can go on and on and will be perfect for this. If you can find a large stepper motor or brushless motor of equal or greater stregth, it would be best to use that instead. brushless motors never wear out from continuous use. If you can, try using NXT motors in this, but not wired up to the NXT controller if possible. Step 1: What Is a Ball Mill, Rock Tumbler Ect and Whats It For? A ball mill, rock tumbler, lapidary polisher ect, is a machine which rorates a barrel full of media , like steel or ceramic balls / beads which as the name suggests, tumble over each other. Any meterials caught between the media get grinded, milled and smahed into super fine dust, and if given the time, even go micronic. I used my own mill primarily to make aluminium powder, the most important ingredient of thermite. As i learnt later thermite doesnt require all of the aluminium to be a fine dust, small flakes as seen on step 10 are sufficient enough in the right proportions. Thats it, its pretty simple what it does. It grinds stuff into ultra fine powder. Not just aluminium, but everything. Put rocks and a little water in there and you get shiny gemstones. Put gun powder in there or the engredients for it in there, and if it doesnt explode which its almost guaranteed to do with this media and barrel, you will get even more volatile gunpowder. Some say though that my design is dangerous because it uses PVC, which is prone to building up static electricity and causing internal combustion. I agree, it does, however with as little air there is inside the barrel considering its size, ide say the chances are slim to none that anything would happen even if there WAS an ingition in there. Given you are only milling aluminium powder, ide say worst case scenario with this mill is that your aluminium starts to smolder and melt the inside of the barrel. Take greater caution though with larger barrel sizes. If you mill any oxidizer / fuel mixes like gunpowder, using PVC and Steel balls, you are almost guaranteed to get an explosion. Never mill anything which can self combust with steel, or PVC. For those, use ceramic or lead grinding media, and rubber/ceramic jars. In this instructable, i am basing everything off the lego digital designed ball mill, mainly becaus some of the parts in my own ball mill technically arent compatible. 1 x 4211713 TECHNIC ANG. BEAM 3X5 90 DEG. 4 x 4144022 TECHNIC ANG. BEAM 3X5 90 DEG. This is a parts list generated by lego digital designer. the number in front of each name is a lego part number used by lego digital designer and some lego distributors. places like bohobby list their parts using these numbers. The original parts list on the site with pictures is here http://jpoopdog.com/downloadables/BuildingInstructions/Building%20Instructions%20%5bballMill%5d.html# on the last page of the guide. please note that a pvc barrel is totaly unneccesary. any type of barrel including an actual milling barrel may be used so long as your barrel generates no static electricity. if you smell ozone ( the smell made by metal when it makes a spark) when you open the mill after letting it run for a day then your using the wrong barrel as it is sparking. now obviously a gear that i have is totaly uneccesary as it is just a component from a previous attampt to make a ball mill , aside from that the construction is quite simple, but there is a flaw in my design that can be fixed, the problem is that since the pvc pipe that goes in between the two caps is not square(flat) the powder has a tendancy to fall into said gap once it is fine enough but not fine enough to be useful at anything, the solution?, cut straight and dont be afraid to use an extra centemeter if it means that you can get it perfect. another solution is to use about 20 or so small ball bearings that fit in there. aquire two identical endcaps, brand new works best, and one segment of pvc pipe that is large anegh to fit inside the two. if your other cap can easily slip out then its finnished, if it gets a bit stuck then sand it down slightly. lastly and this is totally optional , drill a hole into the removable end then fill it with a thinlayer of hot melt glue, this will be your fail safe that will melt and release the pressure should an explosion or fire occure. If a fire does occure inside, its better that the barrel not open up when the aluminium inside is burning. Note: When these motors heat up they become less efficient and draw more current. DO NOT ATTEMPT TO FORCE MORE VOLTAGE/CURRENT THROUGH A MOTOR THAT HAS HEATED UP AND IS RUNNING SLOW OR NOT AT ALL. Putting too much power through these motors deteriorate the internal brushes, and can wreck them. I highly advise using brushless/high performance motors if you plan on using this mill over and over again. A good example of a brushless motor you can use is an NXT stepper motor. the problem with these however is that the controller should not be run continuously, especially to drive the motors in the ball mill. however the motors can be used in this, so long as the correct input is used, just not from the controller, or at least not directly. Now, I now realize my original design wasnt as well thought out as i thought. For this mill, run it off any 9v power supply that can supply around 1A. If you can make sure that your motor wont stall or overdraw current, then 12v should be alright. as it turns out these motors work more efficiently at 12v than 9v. Although i can be positive of the exact specs, the lego power functions motor, runs at between 60 and 800ma. this is based on what is drawn when stalled and what is used without load. however, the best possible power supply you can use, is an actual switchmode power supply, like for computers, once again, make sure you use a 9-12v regulator, and find out the rating for your motor. All you need to do once you have your power, is hook up your positive and negative to your battery packs + and - terminals for the first and last battery. these will often be the ones on the bottom of the battery pack. youll need to experiment to find out which is which. for my one, i found, the bottom right hand terminal and on the other side, the top left hand terminal, was the + and - i needed. the reason for using the battery pack is to be able to reverse the motor, and so you dont have to strip your motor wires to hook them up. In the ball mill we need to reduce the gear ratio and rpm, so that there is enough torque to roll the barrel, but enough speed to ensure the grinding media inside grinds at an optimum level. generally if you can hear a constant rattling noise, then its going fast enough. Incase you didnt know, a small gear, turning a larger gear, loses RPM or rotations per minute. a gear turning another with twice the teeth, will be turned only half as fast, however, for whatever speed is lost, propertionally more torque is gained. torque is the power being exerted at a certain speed. this means, for however much you gear your mill down, you increase the maximum amount of weight it can handle without slowing down. Also, remember when establishing your gearing, a very low rpm will still grind your media, just not as fast, but it will also significantly extend your motor life time. the lower your torque used is from your torque available, the less power consumption and heating will occur. depending on your barrel and media, there will be a maximum rpm the barrel needs to spin, beyond which higher rpm wont shorten the milling time. i recommend looking into this, and finding out what rpm others run their mills at and try to get your own to run at this speed. excessive speed should be cut down into extra torque. In a nutshell, your gearing must be set up so that the rpm coming from the motor and going into the wheels must be reduced, so there is sufficient torque. your design can be very far off from mine and still work fine. I recommend following the lego schematic, since it includes a parts list and doesn't involve flexing of any of the parts. here is a crude illustration using circles instead of gears, its a basic drawing of what the gears look like underneath. which means that any size will work so long as there are more small gears turning bigger gears, and not vice versa. ok, at this stage, you should be almost finnished in building your lego ball mill, you will have something that resembles an upside down steam roller, which runs. it may or may not be exactly like my mill but remember my mill is just an example or template, its unlikely it will be just like the mill i have built, but if you think it will work, then it will. in order to mount it on a big board, you might need some 2x1 block lego plates, and cross bricks attached to your technical beams, angle beams work best as you can ensure they wont lean. at this stage, you should give the mill a test run, let it run for a while and see what happens to the barrel, if it falls off of moves to one side of the mill, then you may have an issue. ideally you dont want the barrel to slide off the mill. this issue can also be resolved by using perfect straight cutts on making your barrel, and ensuring that the end capps do not wobble, or else the whole thing will be out of balance. if it cant be fixed, you should probably think about getting a metal plate, to mount on the side of the mill your barrel leans to, and some metal object to put on your barrel, so it doesnt wear down, which will rub against the plate. put some parrafin wax or a bit of dense grease on the plate to prevent heat from the friction. In this situation youll have a piece of metal on the barrel rubbing on a metal plate, but it wont be going anywhere. its not adviseable to let plastic rub on plastic as it will either generate allot of heat, or wear down, neither of which is something we want. Also, try avoiding getting grease on lego parts, it may seem like a good idea, to prevent wearing, but many greases, including most petroleum based ones, will degrade the plastic in some of the plastics from a certain era. I tried this, and found some axles and parts completely corroded away in the lego box, while others, were unharmed. these of course were parts still attached to chunks of the mill. lego frequently changes the plastic formula, and some times these are soluble in petroleum. mainly though axles corroded. only 1 gear however corroded. 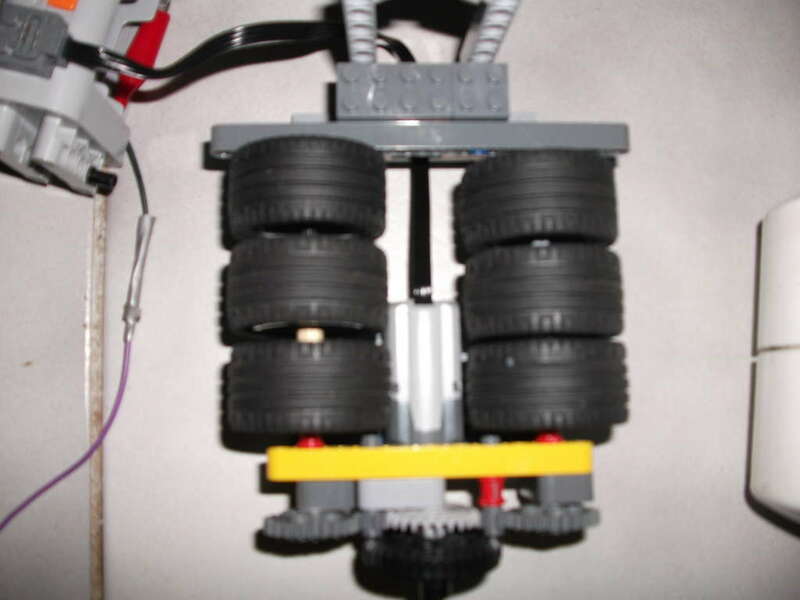 Now you have finished making this lego ball mill. You should totally upload a photo of it. if you require help, or need to ask a question, of any kind, feel free to comment. if your not sure if your mill is working correctly (if its your first mill, and you dont know whats "normal"), i will gladly look at a video and let you know if it is "working right". Since its highly likely youll be using this mill to make aluminium powder among other things, ill give you some pointers about making it. This is probably the easiest, when going past your local buisness/industrial district, keep an eye out for any workshops that specialize in aluminium fabrication, or make any mention of building with aluminium. go over there and ask if you could have the shavings from when they cut it. aluminium cutting is quite messy, bits go all over the place and make absolutely perfect stock metal. if it has any dust or dirt in it, it shouldnt matter. randomly tear peices of aluminium foil up, and stuff it into a coffee grinder. turn it on, and shred the foil until it forms little scrunched up balls. then fill it again and shred everything a second time before you empty the contents. this can go directly into the mill. Remember not to overload your mill. use whichever method allows you to put the most aluminium into the mill without filling it so much the media cant move and grind everything. a good plan also is to add a little more stock once the stuff from before has grinded down a bit. this effectively allows about 4x more to be milled than what was previously capable of stuffing the barrel. When making aluminium powder , you may find some strange behavior in the ball mill. this strange behavior i cannot explain. what happens if, once you have loaded your al-foil into your mill and let it run, over the first 3-4 hours, the mill will make the bits slightly smaller, or mash them together a bit. after that for the next 9 hours of milling time, if you regularly check, there will be absolutely no progress in the milling whatsoever, BBBBBBBUUUUUUUUUUTTTTTT!!!!!!!!!!!!!! after the initial 12 hours, in a period of about an hour or two ( i always check progress every hour), mysteriously, the aluminium foil will have been cut up into extremely small slight pieces, and even some small quantities of powder may have been made now, but will be impaled into the side of the barrel in the first batch, leaving a permanent irreversible stain, these bits are so small, that simply exhaling gently into the barrel will shoot them into the air. don't be fooled by the glossiness of my barrels inside, this is not infused powder, its actually all the little bits of foil covering the already light grey inner barrel, making it appear to be dark silver, these bits are not powder though . one last thing you should know when milling with this mill, and that is that, do not use the same barrels for making aluminium powder, for milling making other materials, as aluminium powder will stain the barrel, and if you are using any steel ball bearings, do not use those bearings in other mills either, as they too, will become stained and will contaminate your other milled chemicals. also note that a barrel stained by aluminium powder will not work very well for milling anything other than aluminium powder, but im happy to say that required you have given your endcaps a good wipe, and possibly a rinse with a strong acid or base, e.g sodium hydroxide, to destroy any alum that can come out of the plastic, you can use the endcaps for other barrels, even if they are still stained by aluminium, just use a new section of pipe. now, if like me , you were planning to get some grinding media, but didnt know what size or type to get, ill let you know what size and type you should use. 60% of the media should consist of large balls roughly 1/6th or less than the barrel diameter. dont use it in a pvc barrel though if the alumina is abrasive to touch, since it can grind the barrel away and possibly cause extreme heat to be generated. For this media, youll often get packs in which have equal portions by weight of each size. for this one you want maybe 25% large media, 25% tiny and 50% medium sized. otherwise, imnot entirely sure, ive never used it and only speak from second hand experience. Good ible, you should have been featured. aww shucks. and no, the first time around i half "butted" it, i published it without finishing it, it was a while before this instructible was complete, so thats why, plus, its not THAT great, it might be the best one here as far as i know, but by any standard its mediocre. For those of us who are not familiar with this, can you explain what a ball mill is? Also, step 4 seems to be missing everything. Lastly, what's a done, and why is it mine? how strange, i deleted that step when it occurd to me, that it was highly unlikely anyone would have all the same lego bits as me, so i skiped on exactly replicating my mill, and focusing on the consept of making a miill, ill edit that step out as soon as i can. ill also stop refering to the mill as mine, thanks for pointing it out. The mill is yours. The last comment was my stupid way of pointing out that your last step should read "You're done." "Your" means something belonging to you, as in "Your Reply," while "You're" is short for "You are," which is clearly what you meant there. you seem to know all there is to know about making instructables, despite only having 4 more than me (presently). if you wouldnt mind telling me, to benifit all those who read it, what , if any, errors are in my instructable that i have over looked? as you seem so observant of these "little" things. I didn't say I know how to make instrucatbles better than you. I made one request, one constructive criticism, and one joke about a grammar mistake you made that happens to be a pet peeve of mine. well to be fair, i wasnt being sarcstic about it, i actually did mean you obviously know more about them than i do, this is of course the first instructable ive ever made that i actually enjoyed making,(i have several others unpublished), and is something that i would have found useful to the extreme, had i found it. I guess this would also be known as a "Tumbler"? well yes , and NO. yes, because this is basically what a (rock) tumbler does, and acts, and everything about it, however, tumbler is a term given to it when its used for that purpose......tumbling, and therefore polishing, rocks!!! we call it a mill when its used to powderize things, aka aluminium foil. its called this for the reason that its purpose is no longer to tumble wet rocks, but instead grind up , or mill (such as flour), things into powder. you wouldnt want to by a rock grinder or rock powder miller, if you wanted to smoothen out your precious stones now would you. its all about how you look at it, which in this case is the miller, as thats what it was built for, rock tumblers just "happen" to be able to do the exact same also. Thank you for this. I need to make a mill similar to this, but with a larger drum to polish brass rifle casings with walnut shells for reloading. I have thought about powering it with a fan blade on a wind vane. well as i mentioned in the instructables, this CAN , be build using different methods to epic proportions (yes, i think i used the word epic).